Glass by Dale Chihuly and his helpers, at Kew Gardens in the Princess of Wales greenhouse. Chihuly glass aloes, at home with tropical plants. 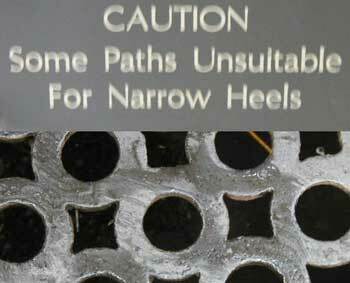 Never wear spike heels at Kew. We’ve spent six days doing nothing but having fun in England. Our friend Ron picked us up at the train station in Princes Risborough last Monday, and took us to the home he and Carol share in a tiny hamlet composed of 18 houses in Oxfordshire. The next day we went to Kew Gardens. Carol had already come up with the idea of seeing Kew, and unbeknownst to her, I had also thought about it because I’d read about the Chihuly glass exhibit now gracing those lovely gardens. Kew is an all day affair because it is so large. The weather was beginning to shift that day, turning from normal cool, damp England to the warm, humid and sunny subtropical England that it is today as I write this. But fortunately, the rain did not happen until after our day at Kew was over. Kew has several large greenhouses, some of which house plants that we live with in Florida. I got a few ideas for my garden from the Kew greenhouses. On Wednesday, we went to Tring to see the natural history museum. This museum is the collection of Walter Rothschild, and eccentric member of that famous family. He collected moths, butterflies, other bugs, and later, animals. He had them hunted down, killed, and stuffed by a taxidermist. The collection is enormous. But he doesn’t have a bobcat in it. Nor does he have a coral snake or an alligator. But just about everything other fish, bird, mammal and reptile is there. Before going to the museum, we had a delightful, traditional mid-day dinner at the King’s Head in Ivinghoe. The maitre d’ was George de Maison, and he was, just as his name says, very French and very much in charge of the place. The meal was absolutely wonderful. Plan ahead, reserve, and go there when you are in this part of England. On Thursday, we went to see the magnificent Ely Cathedral and then Cambridge. I fell in love with Cambridge. The part of town near the old colleges is closed to automobiles. Yet the streets were full of people and the shops were prospering. There were no vacant storefronts that I could see. And just like so many towns and villages in England, the place was utterly charming, with lots of very old houses jammed all higgledy piggledy along the brick streets, some of which were quite narrow and crooked. On Friday, we went to see the gardens at Clivedon, not far from where we are in Oxfordshire. This was once a stately home. Now the house is a very luxurious hotel, and the gardens are owned by the National Trust. The gardens go all the way down to the Thames, which is a wide stream, not a big river, in that part of the country. It was all very, very scenic. The climb back up the hill is not for the weak. Yesterday, Tom and I went by ourselves to London. (Carol and Ron went to a long-ago-planned Elton John concert weekend with friends.) It was a beautiful, warm day in London, and we could not bear to go inside museums and such. We just walked and walked and walked, taking it all in, from about 11:30AM to 9PM. Although I had not spent much time in London since 1998, it all came back to me. London is more prosperous than ever. The traffic congestion control measures that London has taken seem to be working. We were able to park all day at Princes Risborough for free (Saturdays and Sundays), and we bought Day Travel Cards for £15 each. That paid for our round trip train fare and unlimited use of the tube and busses all day. It was really too warm and nice to use the tube and busses, but we did use the tube at the end of the day to put ourselves in the vicinity of the train station before dinner. Some people seemed to be suffering from the heat (about 88ºF) in London, we southwest Floridians were just fine. I think today will be even warmer. Our friends the apartment owners in Paris must be broiling.